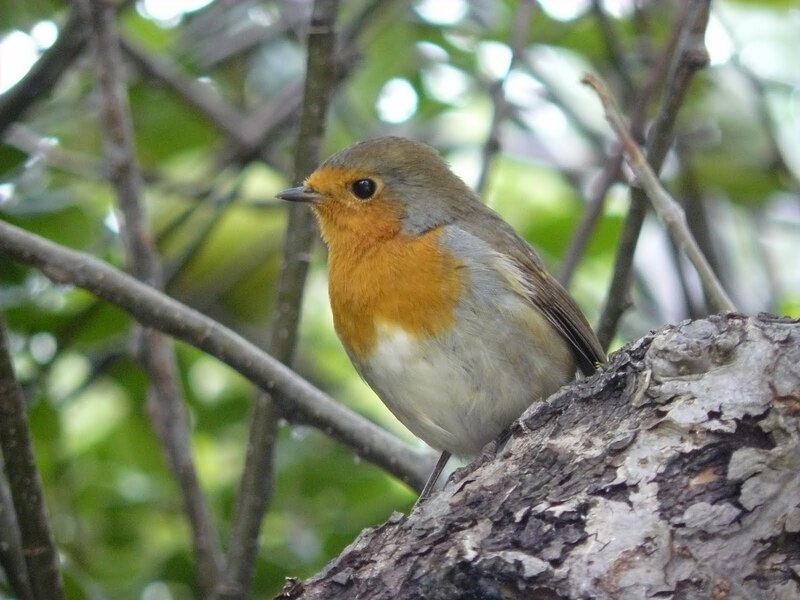 Whilst pottering around our new garden at George Street I had a close encounter with my new friend, our local Robin who spends a lot of his time in our apple tree. 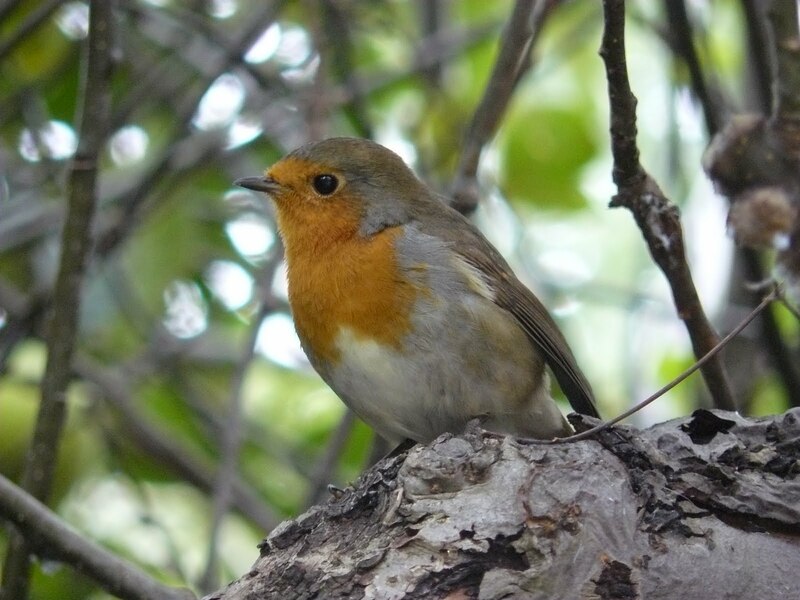 In fact any other Robins who pass by get seen off in no uncertain terms, so our garden is clealy his patch. Mr Eb and I spent about an hour or so weeding around the bottom of this accompanied the whole time by a very brave and curious Robin who sat above us keeping up a constant stream of whistles and whirrs. I hope that he does not mind us being here and is just curious and looking for some food as he seemed very excited and nearly ended up sitting on my leg at one point! I only took a few snaps as he took definite exception to the chirrup my camera makes when it focuses and dive bombed me to try and scare off an obvious competitor! 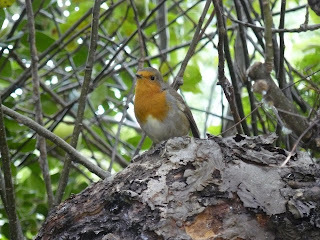 I've started putting food out and hopefully we'll soon have more birds and keep on seeing this little chap.